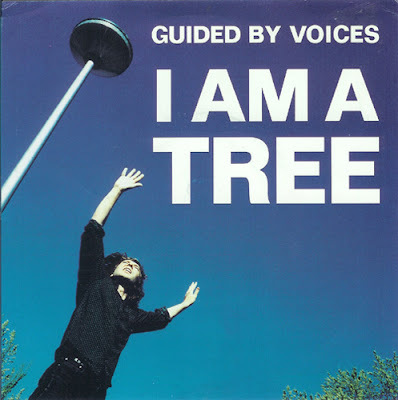 The second single released off GBV's ''97 LP Mag Earwhig! The single was released on both CD and 7'', with the CD single containing one additional track ("The Ascended Master's Grogshop). The single also marked the lone instance in which a non-Pollard penned track was released as a GBV single. I Am a Tree- Same version as the one on Mag Earwhig!. Check there foreview. Do They Teach You the Chase?- 4 Short, weird, circus type of tune, complete with nightmarish Pollard floating vocals and cello backing. (I’ll Name You) The Flame That Cries- 4 Moody, gentle acoustic picking with Bob in creepy storytelling mode before exploding into a steady, fairy tale like pop song. The Ascended Master’s Grogshop- 4 Beautifully saddening, short and haunting. This Beatles-esque piano number is a blink and you’ll miss it kind of deal. finally got this on vinyl recently. the cd only track is actually "do they teach you the chase?" your review of "the ascended master's grogshop" is word for word perfect.